Where do B.C.’s parties stand on electric cars? parties have planned for electric vehicles? 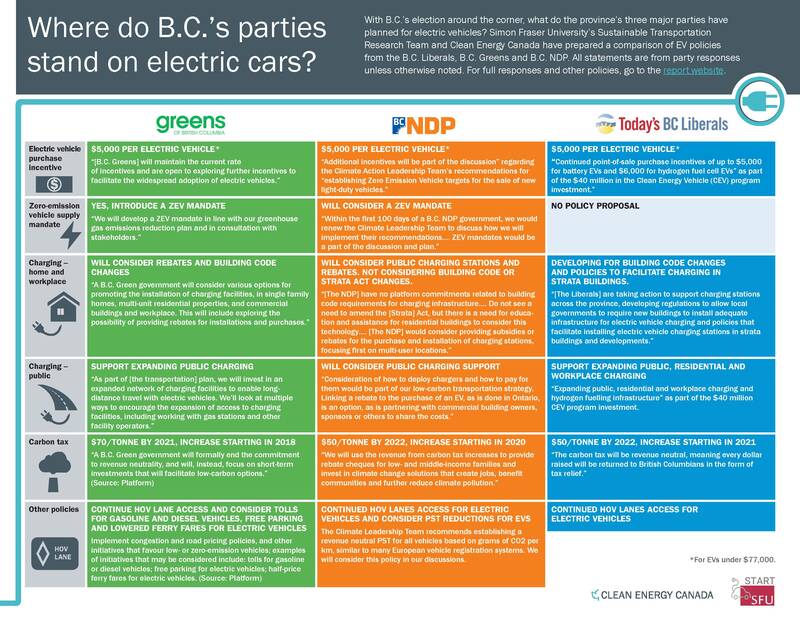 Simon Fraser University’s Sustainable Transportation Research Team and Clean Energy Canada have prepared a comparison of EV policies from the BC Liberals, BC Greens and BC NDP. The information is supported by official party responses to our inquiry and official policy platform documents. For full responses and other policies, click here!